Happy birthday to a fab stylist. We at La Mode Magazine celebrate with you today. 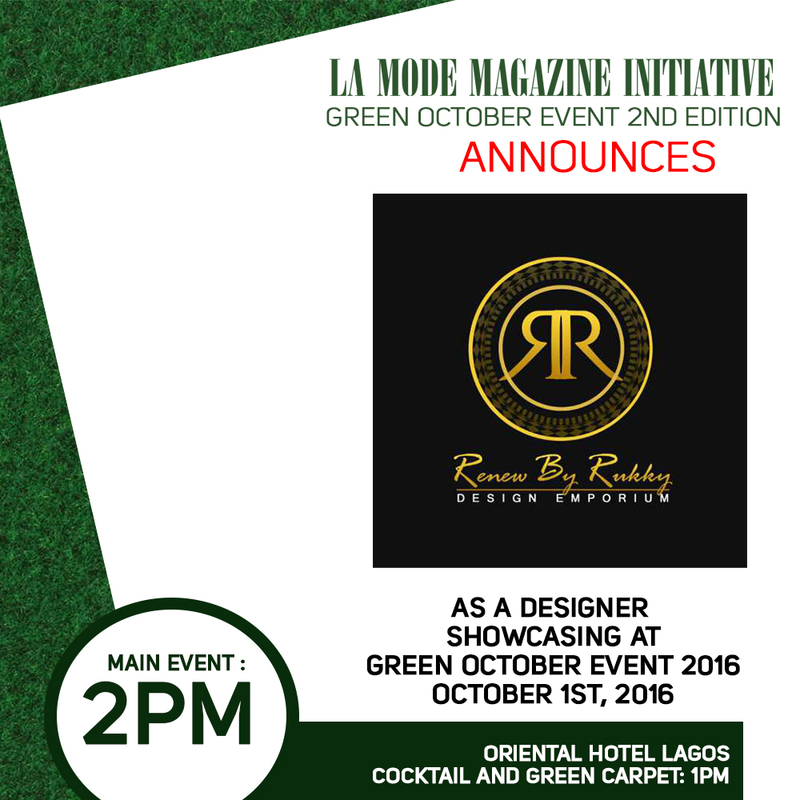 Renew By Rukky Showcasing At The La Mode Magazine Green October Event 2016 Edition!